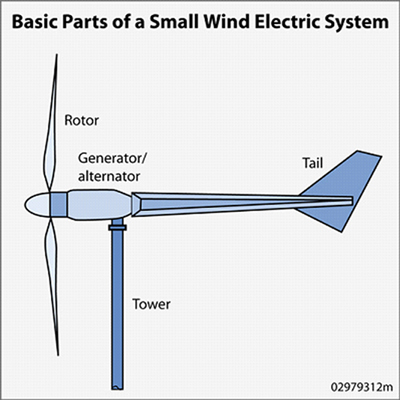 Small wind turbines can be mounted on a tower to capture the most energy, or be roof mounted. At 80-100 feet (25-30 meters) or more above ground, wind turbines can take advantage of the faster and less turbulent wind. Turbines catch the wind's energy with their propeller-like blades. Usually, two or three blades are mounted on a shaft to form a rotor. Developed within the past five years. Several unique designs and blade configurations. Omnidirectional - Turnine does not need to change orientation to match the wind direction like HAWTs. Tracking your performance, especially during the warranty period, ensures that you are optimizing your investment.